Ashley Norris has joined SOILL as the Special Projects and Events Assistant, based out of the Lombard office. Ashley will be assisting with our signature fundraising events, providing event prep support and general administrative support to the staff housed in the Northern Office. Previously, Norris worked in the dental field as a business analyst. She was a Chicago Metropolitan Area Dental Management Trainee for the Heartland Dental Management Training Program. She audited or performed analytical reviews, completed analytical reports and executed administrative tasks. Norris graduated from Eastern Illinois University, Charleston, in 2015 with a bachelor’s degree in Sociology. Joshua Paddock has been named the new Area Director of Southern/Area 15 in Carbondale. He is responsible for managing Special Olympics activities including training, competition, fundraising and administration for the Area. Previously, Paddock taught Special Education at Mascoutah Community Unit District #19 in Mascoutah, where he also coached high school football. Paddock graduated with a bachelor’s degree in History and Secondary Education from SIU-Edwardsville in 2010. He received his Special Education endorsement from the University of St. Francis in Joliet. In 2013, he received his master’s degree in educational administration at SIUE. 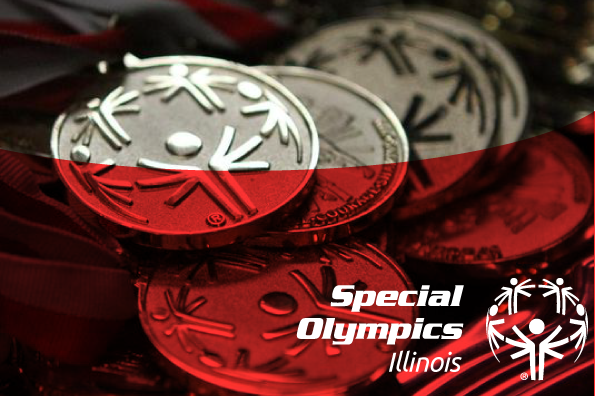 Robyn Wenzel has been named the Accounting Specialist for Special Olympics Illinois, based at the state headquarters in Normal. She is responsible for managing all of the accounts payables and adjustment entries for the organization. She oversees several projects within the finance department to help SOILL run more efficient, from developing new standards on reconciliations, to tracking and analysis reports. Previously, Wenzel was the Senior Financial Accounting Manager and Supervisor for AFNI Inc. in Bloomington for seven years, where she also had been a staff accountant and cost analyst. Wenzel graduated from Eastern Illinois University, Charleston, with a bachelor’s degree in accounting. She has 10 years of accounting experience. Stephen Whitlatch has been named the new Southwestern/Area 12 Manager in Highland. The position is responsible for assisting Area Director Justin Dunning in managing Special Olympics activities including training, competition, fundraising and administration for the Area. Previously, Whitlatch was an intern for Alumni Association and Building Operations for the St. Louis Blues and Scottrade Center. He assisted with security, building changeovers, marketing, greeting guests and managing the Alumni Suite, data collection and monitoring the ice. He was involved with the Illinois Center for Autism in Fairview for five years. Whitlatch served as a Transition Services Specialist where he represented the Transition program, worked with students, supervised job coaches and participated in Leadership Committee meetings. Whitlatch graduated from McKendree College, Lebanon, in 2003 with a bachelor’s degree in Social Science and just received his master’s degree in Sports Management at Lindenwood University in St. Charles, Mo, in May.